The ICO RALLY brand of heat shrinkable products is made from thermoplastic material such as polyolefins, fluoropolymers, PVC, neoprene, and silicone elastomers. The tubing shrinks in diameter when heated to provide insulation, abrasion protection, strain relief, identification, and aesthetic appeal. Available in a variety of wall thicknesses, colors, and sizes, ICO RALLY is sure to have the exact tubing required to meet your specific application. 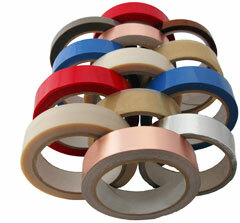 Many of these products meet the SAE-AMS-DTL-23053 military standard for heat shrinkable tubing. Leading the industry as a high temperature sleeving and tubing provider, ICO RALLY product is used in motors, generators, transformers, electronic devices, wire harnesses, and for various automotive and aerospace applications. 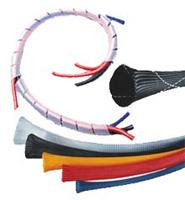 In addition to coated and uncoated glass sleeving, ICO RALLY offers tubing, spiral wrap, and monofilament sleeving in several materials, including flame-retardant grades. Many of these products meet military, UL and CSA requirements. Our products are made to detailed manufacturing specifications, and supported with strict quality guidelines. ICO RALLY supplies variety of rubber and plastic tubing, fittings, and clamps. 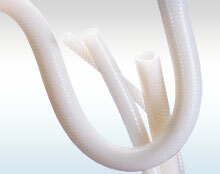 Custom and standard precision extrusions are available using fluoroplastics such as PTFE, FEP, ETFE, PFA, and PEEK. These materials exhibit high lubricity and increased tensile strength, while allowing exposure to high temperature and harsh chemicals. ICO RALLY provides a complete line of pressure-sensitive adhesive tapes that exhibit chemical and heat resistance, electrical insulation, and abrasion resistance for use in various applications including harnessing, splicing, masking, and sealing. Materials include fiberglass, polyimide, PTFE, and polyester in conjunction with silicone, acrylic, and rubber adhesives. As your total cable management solution, ICO RALLY provides an array of plastic fasteners and wire management devices including cable-ties, cable clips, clamps, and bundling products. ICO RALLY’s line of lacing tapes and cords are available in Nylon, Dacron, Linen, and PTFE coated fiberglass with various finishes available.